In the late 1970s, the Marquis was Mercury's entry level full sized sedan -- but don't think for a second that it wasn't anything other than a full pimpmobile. We're talkin' fender skirts, vinyl top, hidden headlights, AM/FM stereo, torque monster V8s, and best of all, available in any color of the rainbow -- inside and out. 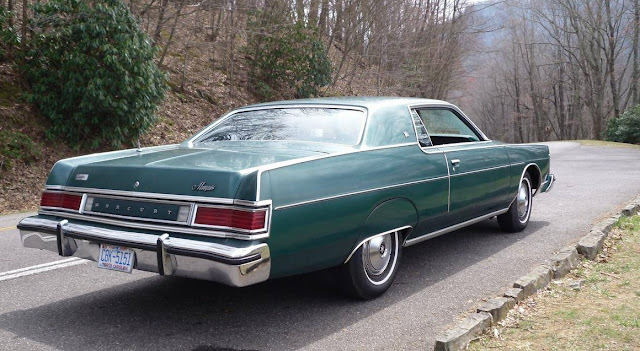 Find this 1978 Mercury Marquis offered for $4,999 via Hemmings, located in Morganton, NC. 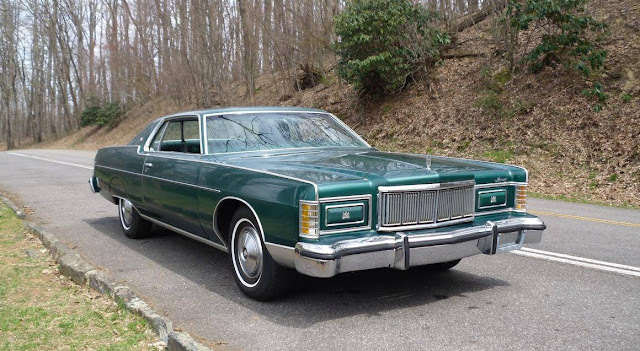 First off, you shouldn't get into a '78 Mercury and expect it to handle anything like a Corvette -- and don't air bag it or modify it -- just drive it as-is and enjoy the 70s vibe before passing it on to someone else. 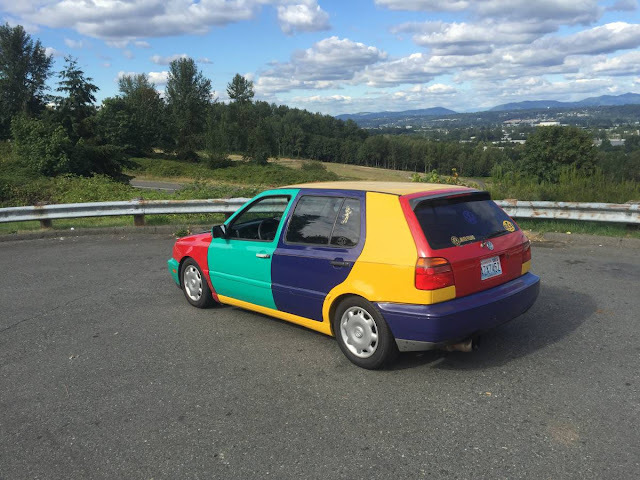 This one has 41,800 original miles on it (according to the seller) and was owned by little old ladies that didn't smoke, but you gotta take a look at the interior before you write this thing off. Wow. Just feast your eyes on that Kermit green with fauxhogany trim interior -- it puts the MMMM in mint!! It's so green, and so well preserved, that I could imagine a driver crashing this car because he/she was so enamored with that interior. 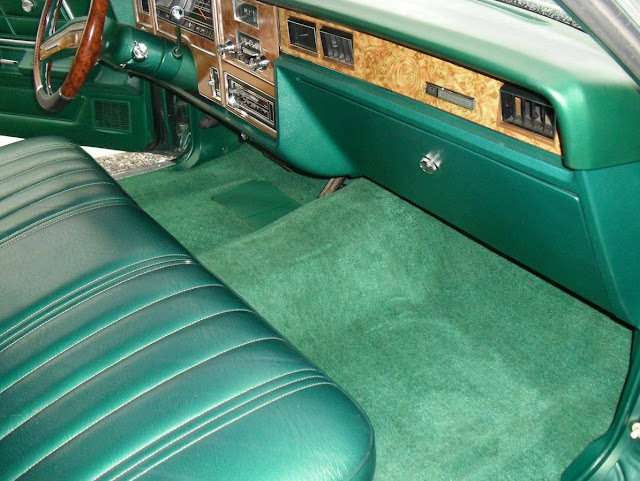 Who would have imagined that a Mercury interior would look this nice after 38 years. That wasn't a question. Duuuude, why do I like this?? If it were a convertible I'd have to snag it. I know Frank Cannon drove Lincolns, but this seems like a car for him. Is anyone else in the mood to watch "The Rockford Files?" The scenes of any Ford product of the era in a wallowing car chase is pretty damned cool. Always interesting to note how many hubcaps get jettisoned in a turn. What a miserable time for cars.